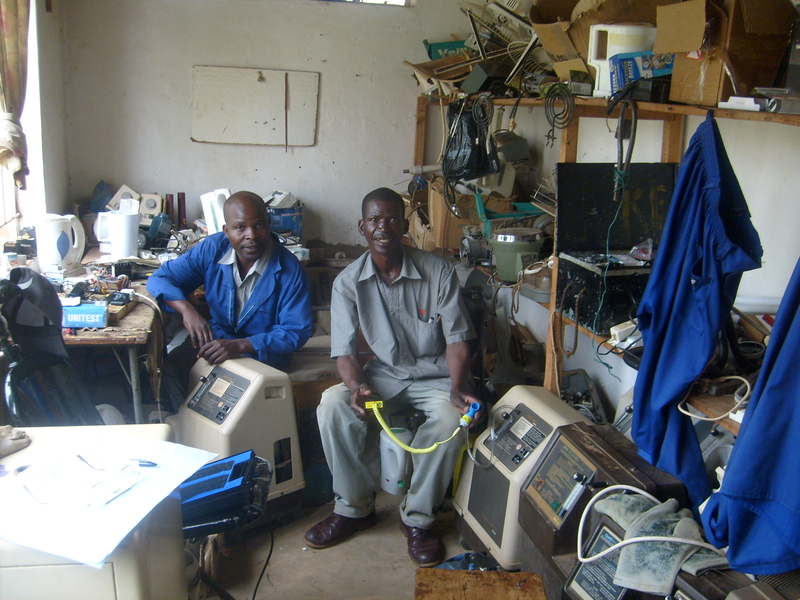 The technicians at the newly established Servicing and Maintenance Unit at Ekwendeni, led by David the electrician, are being trained in the servicing of basic hospital equipment, for example oxygenators. Service manuals and tools have been provided and, using these, the technicians have repaired a number of machines. David and his colleagues find this work very satisfying and are delighted with their progress. It is planned to expand the Servicing and Maintenance Unit’s work to include computers and other hospital equipment.